A green, fun, smiling little alien. So totally cute and kawaii! I find the combination of green and purple very appealing. 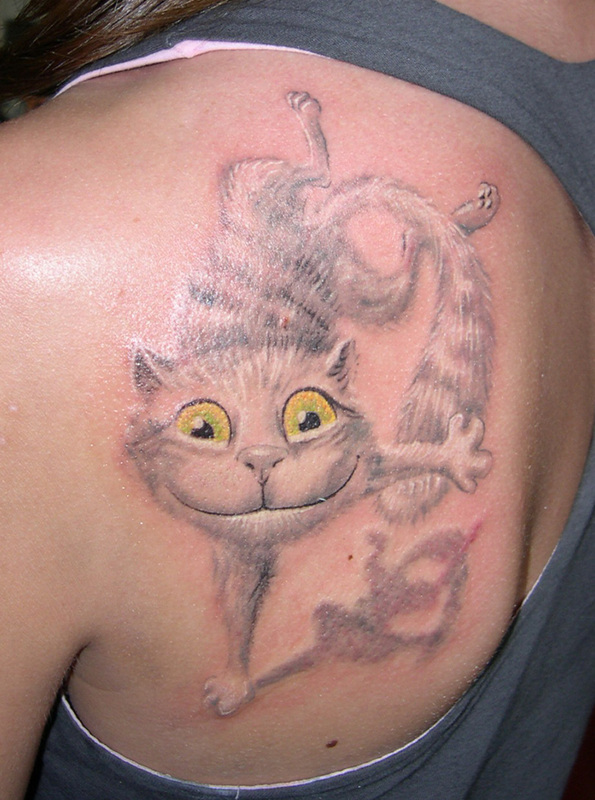 This tattoo seems to be of the Cheshire Cat from Alice's Adventures in Wonderland. Just look at that smile and the eyes that stand out while the body fades away. 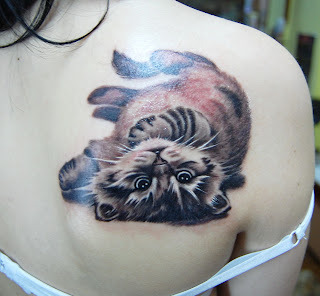 This funny cat is very cute and lovely! I'm not too sure just what is depicted here. A creepy, murderous doll perhaps? 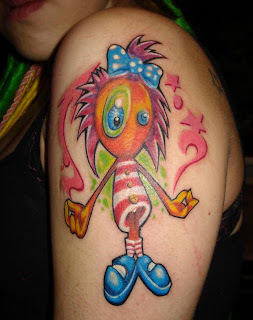 Whatever this character may be, it's cute as well as scary, and masterfully executed to boot. Just look at those eyes, have you ever seen anything like it on a tattoo? There are a lot of great cat tattoos out there, but this one is a puppy dog! 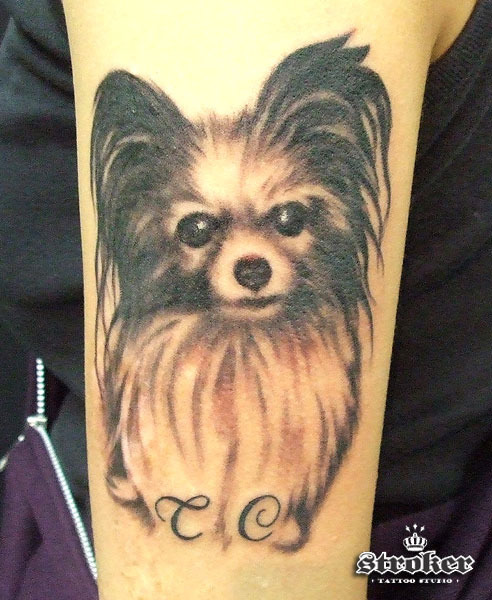 Very cute, realistic looking doggy tattoo. I'm thinking it's someone's actual dog, due to the initials. 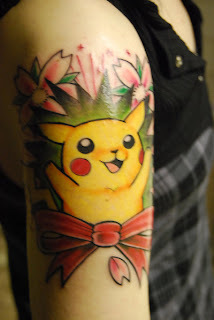 Anyway, it's a kawaii and really great tattoo! 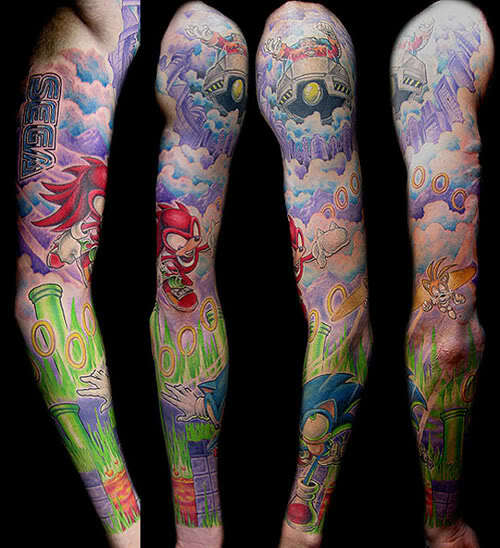 This is a very interesting tattoo, I haven't seen anything like it. An absolutely crazy looking, yet awesomely kawaii fly. 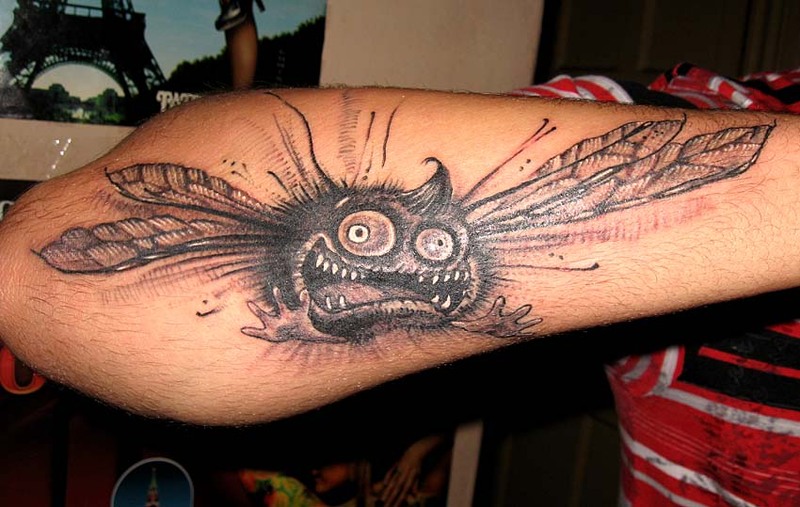 Fly tattoos are a rarity, and this one is a real gem. Koi fish - the tattoo is so realistic and elegant! Koi are decorative fish that can be found in Japanese garden ponds. They symbolize love and friendship. 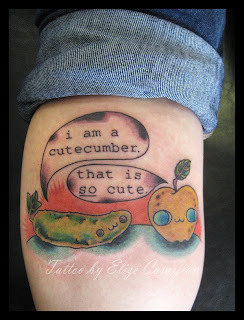 This leg tattoo showcases a kawaii comic strip with a cutecumber and an apple. This is absolutely lovely! 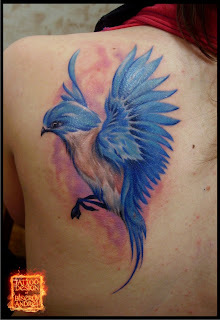 This tattoo of a blue bird is realistic and really impressive. It's cute looking without being childish. Love it! A blue bird is said to be a lucky sign. 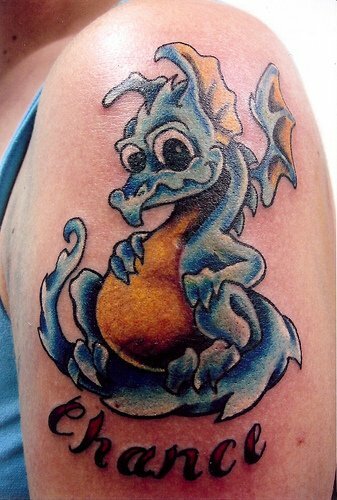 I'm sure the bearer of this lucky ink art will not regret it. Blue little dragon tattoo, he looks so adorable! This girl in a candy-stripe dress is so cute and kawaii! I've never seen this character before, maybe the artist drew this tattoo from his imagination? 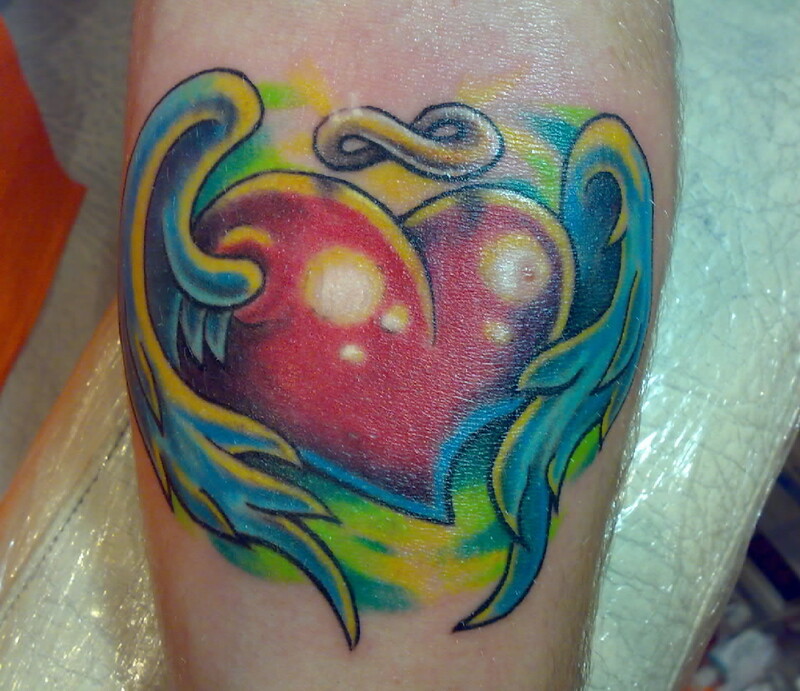 This huge heart with the angel wings and the halo, looks very interesting. Very vivid colors. 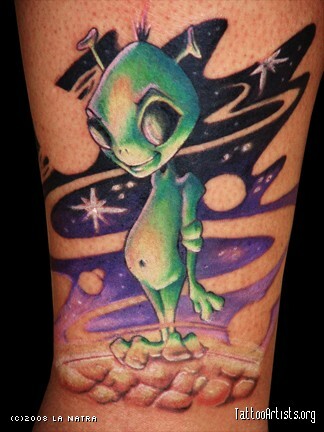 I can see this tat working either for a guy or a girl. What an interesting design! A butterfly-scull, (or is it a scull-butterfly?) 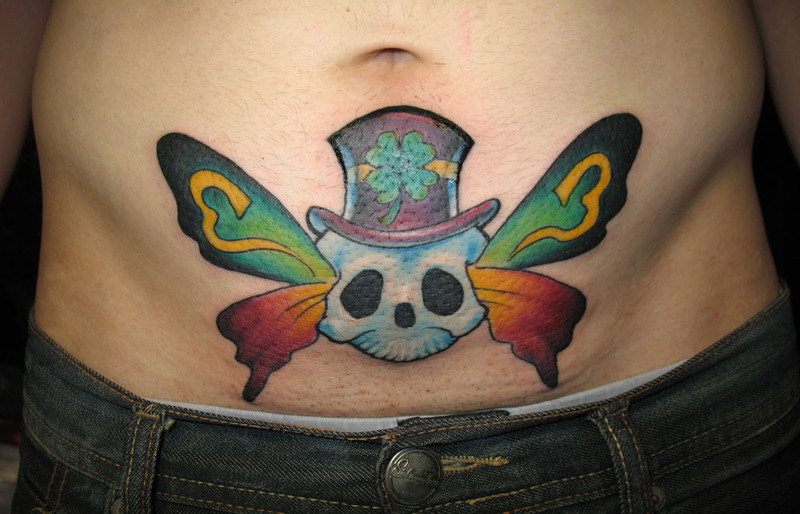 in a tall hat with a shamrock for luck. 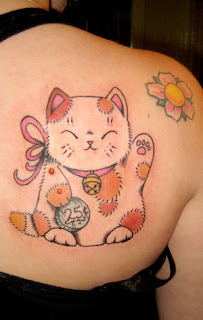 I wonder what's the story behind this cute tattoo? 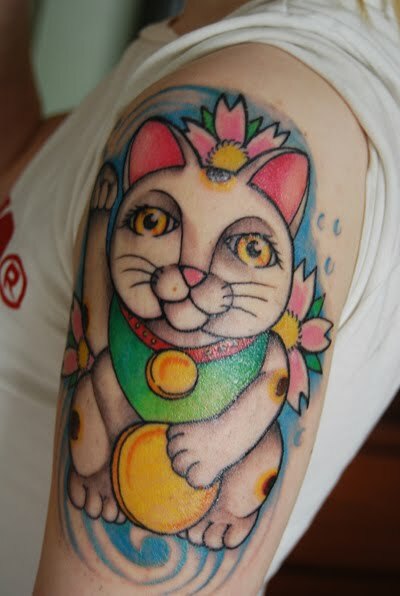 Here's Maneki Neko, a Japanese welcoming cat that brings you luck and prosperity. Isn't he a darling? 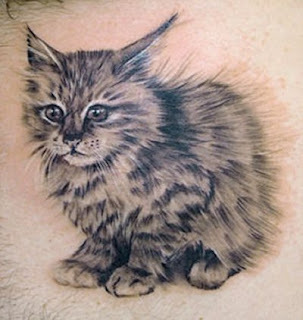 Probably my favorite type of tattoos are ones of cute kittens. Look at this sweet baby, he's so sweet and fluffy. Kawaii! Check this out! Very cute and realistic looking sleeve tattoo of a colorful peacock. Simply beautiful. This Tarantula spider tattoo looks very realistic! 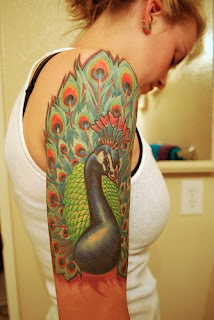 On first glance it's just like a real spider on her arm. 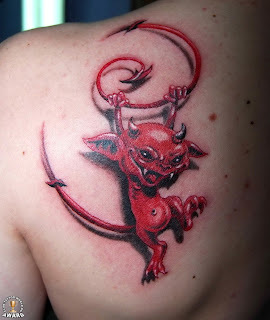 Cute, scary and totally AWESOME! 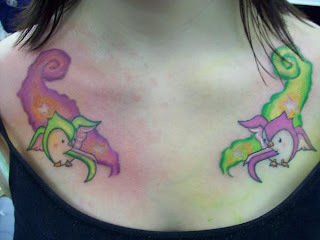 These Tokidoki Swallows are pretty cute! I love how vibrant the colors are. Adorable! Aw. This little furball is so cuddly! 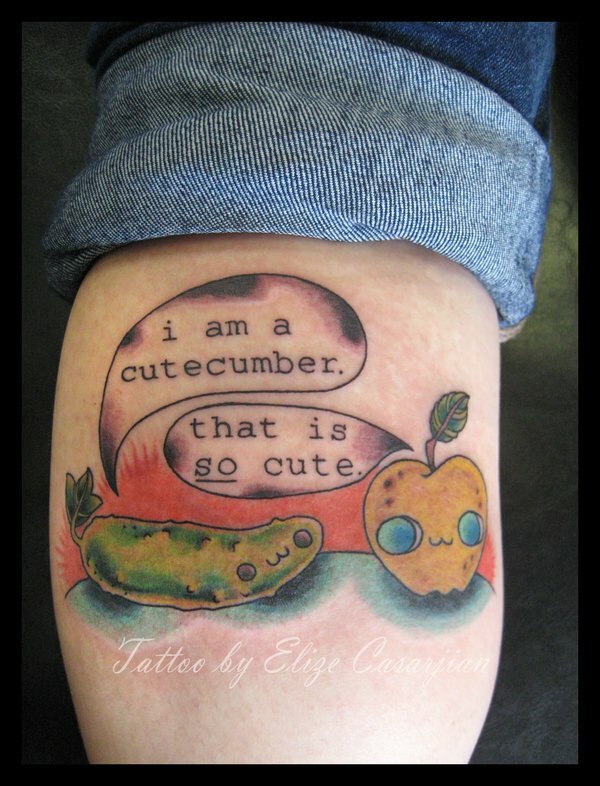 What a lovely tattoo. This little guy sure is wicked-looking, but oh so cute! 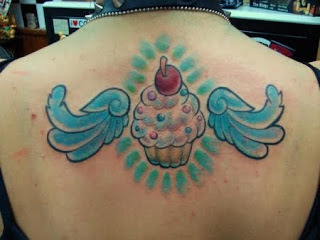 Doubly cute - This adorable yummy cupcake has a pair of blue angel wings! 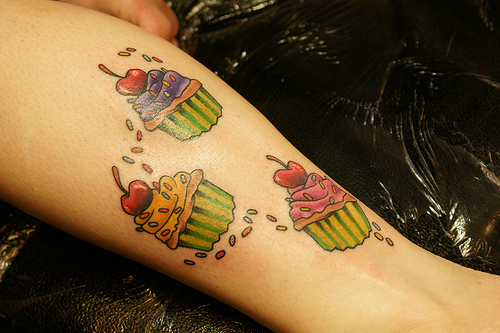 Do the good cupcakes go to heaven? I've definitely seen this little cutie before, but I don't remember where! 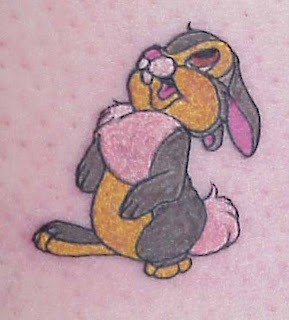 Is this bun from Looney Tunes? Maybe a Disney character? One thing I do know... he's cute as a button! 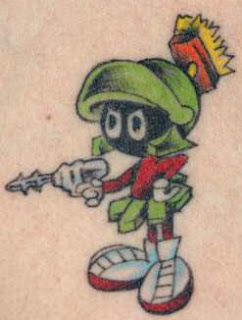 Silly looking but cute, Marvin the Martian captured the hearts of many Looney Tunes fans! This lovely kitty is a Maneki Neko, a Japanese good luck charm. Anyone would be lucky to have such a sweet tattoo, right?